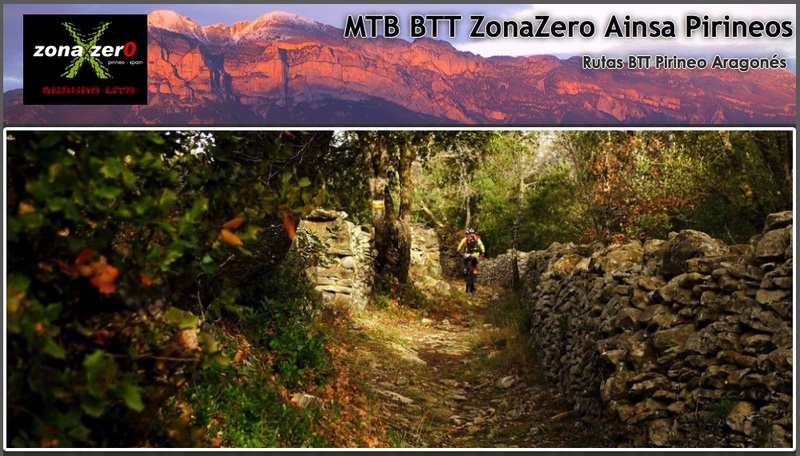 At first glance, Zona Zero, in the Sobrarbe region -at the heart of the Pyrenees-, may seem a good centre for practicing mountain-bike. And it does indeed: it´s all about one of the European top places for mountain biking. However, to consider this enterprise as a sports activity in an unique natural area is just a small part of what Zona Zero means. What is more, it may be said that the MTB centre is an appropriate -but come by chance- consequence of all what this land holds: history, tradition, customs, ancestors, culture, passionate people, secret towns and villages,… and, of course, the millennial ways and paths through which all was transferred. A bunch of values that are the heart of the venture and the guidance in the Zona Zero´s communication with the world. That is, environment, society and economy: as an enterprise, Zona Zero is a paradigm of sustainable development, and thus is transmitted throughout its outstanding communication strategy. So, that´s why with the permission (that I already got) of the Zona Zero´s crew, its model will be one of the case studies in, at least, the two editions of the course “strategic-professional use of the Internet” to be held next week in Barbastro on 7 July and in my hometown, Ontinar, on 9 July.